How do you promote an event that brings together scouts from around the world? Create a website that is, in and of itself, an adventure. 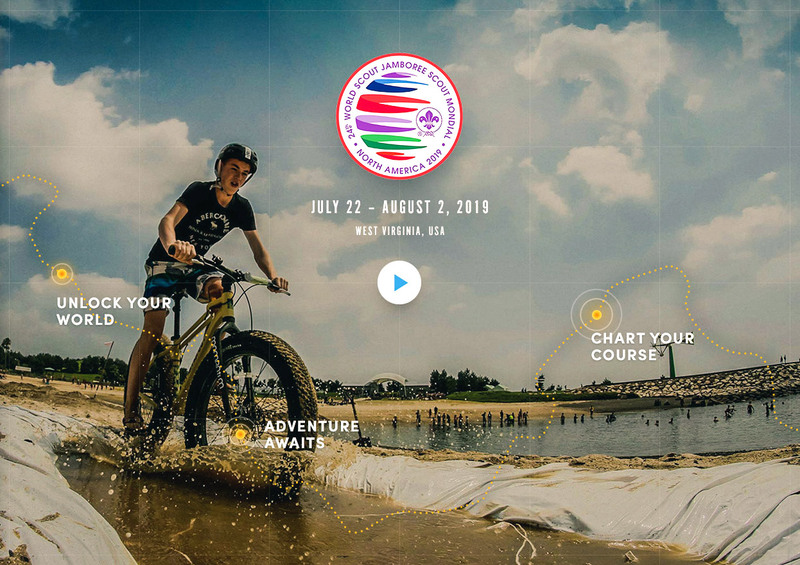 The World Scout Jamboree is an educational event of the World Organization of the Scout Movement that brings together Scouts from around the globe to experience new adventures, cultures, and friendships. The World Scout Jamboree aims to surround attendees in diverse global cultures. 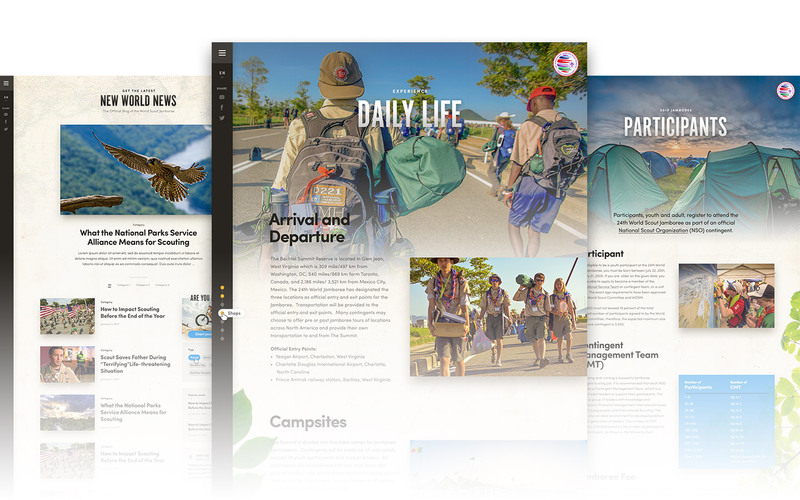 The theme of the 24th World Scout Jamboree event is “Unlock a New World”, so we wanted to take that same element of unlocking adventure and discovery and carry it throughout the website. 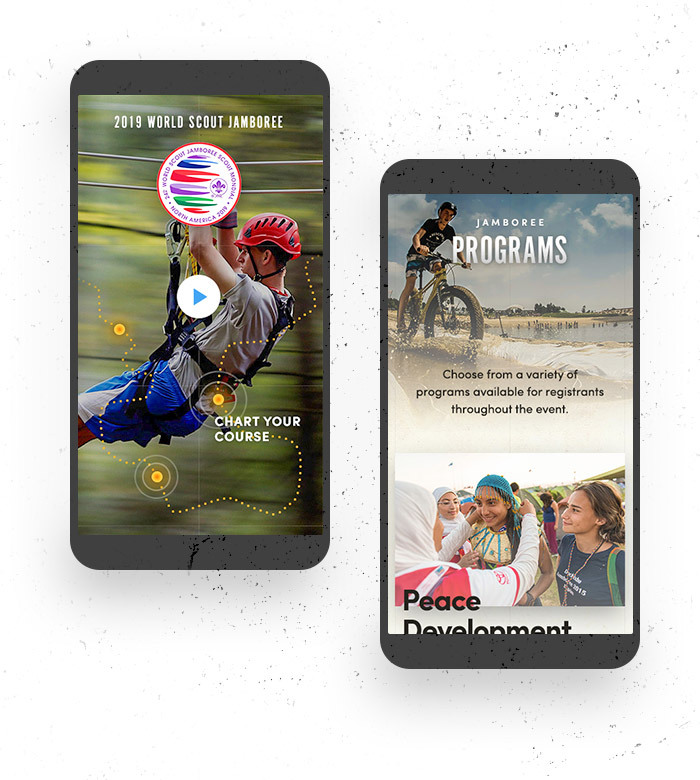 While creating a place for the World Scouts to inform, educate, drive attendance and provide insight, the central aspect of the website will be a world map that “unlocks” countries and regions as more scouts signup and submit their stories of friendship, experience, and adventure. 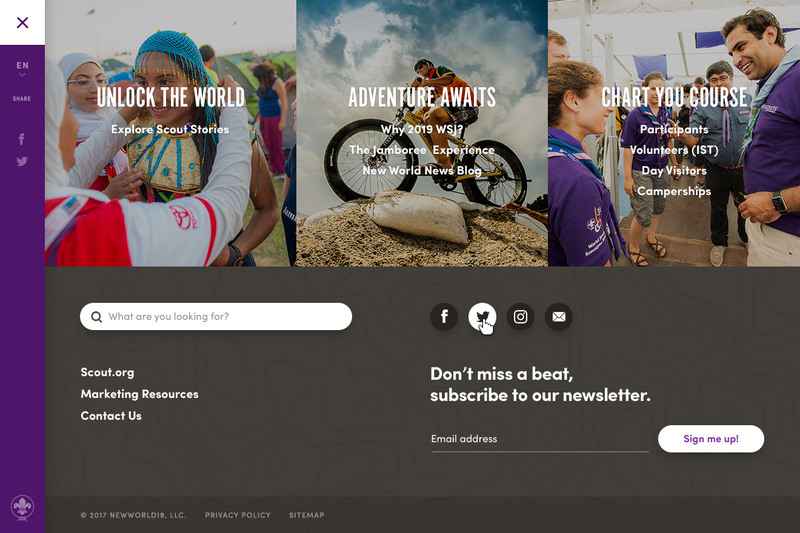 The World Scouts now have a beautiful and interactive website that informs and takes users on an online adventure to unlock new worlds.